Stay engaged, involved, and up-to-date: In the weekly reviews from the Women’s Public Policy Network, we look back on last week’s highlights from the WPPN, share updates on bills affecting women that are moving at the Statehouse, showcase weekly news clips, and provide calls to action on bills pending in the Legislature. Sign up for our emails to receive these updates in your inbox every week! “On August 26, 1920, the 19th amendment was adopted into the U.S. Constitution, giving women the right to vote. Now, nearly 100 years later, we recognize this major milestone by celebrating Women’s Equality Day. As we look back on progress made in history, we must also recognize how much further we have to go to achieve true gender equality. Even after the passage of the 19th amendment, Black women – and men – faced voter disenfranchisement through poll taxes, literacy tests, and grandfather clauses implemented to prevent them from voting. And while the Voting Rights Act of 1965 was later passed to counter these barriers and outlaw discriminatory practices, people of color are disproportionately affected by voter suppression laws to this day. 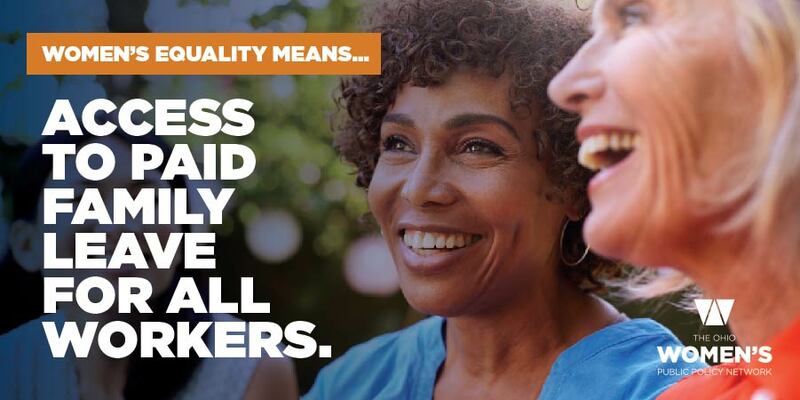 Read her entire guest blog post on our website to learn more about the critical role that paid leave plays in advancing gender equality and how you can take action to advance paid leave in Ohio. We are tracking the progress of any state bills affecting women in the Ohio Legislature for the 132nd General Assembly. The House and Senate were out last week and will also be out this upcoming week for summer recess, so we have no new updates. 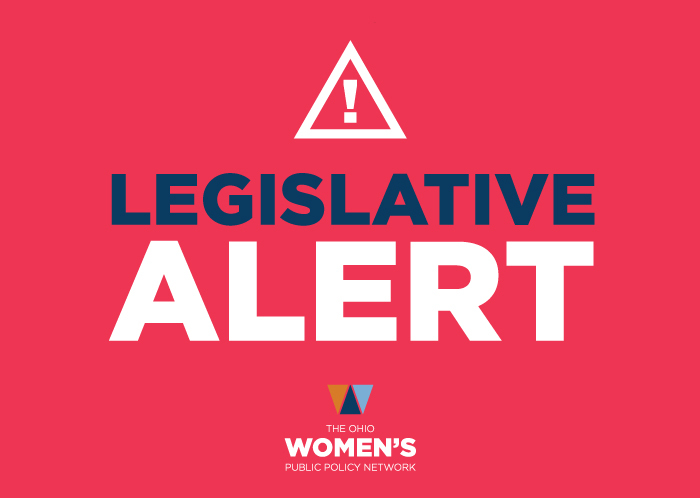 We will keep tracking any new updates and will be sharing timely legislative updates on women-centric legislation on Twitter using the#OHLeg hashtag.Follow us to stay up-to-date on what’s happening at the Statehouse. Nationally, black women are three to four times more likely to die from pregnancy-related deaths compared to white women. While disparities in access to care affect maternal health outcomes, these drastic racial disparities can also be attributed to racism and discrimination black women experience before, during, and after pregnancy. Call upon the National Academy of Medicine to study and make recommendations for integrating implicit bias training and recognition into medical school testing. The Maternal CARE Act would take steps forward to address many of the underlying causes contributing to racial disparities in maternal health outcomes, such as the implicit bias of health care providers. Learn more about the Maternal CARE Act here. During Trump’s presidential campaign, he vowed to appoint only pro-life Judges who would overturn Roe v. Wade and dismantle the Affordable Care Act (ACA). Now, that threat is very real with Trump’s nomination of Judge Brett Kavanaugh to fill the open seat of retiring Justice Anthony Kennedy. “Kavanaugh was hand-selected from a list of partisan judges, passing a “litmus test” to earn his nomination: Commit to overturn Roe v. Wade and dismantle the Affordable Care Act. Women would disproportionately bear the weight of these decisions – and their physical and financial health would pay the price. There is so much at stake with the nomination of Judge Brett Kavanaugh to the U.S. Supreme Court – and women are rising up and taking action. We cannot afford to sit on the side lines during this fight. Kavanaugh’s nomination threatens to shift the balance of the courts and he has proven that he will not stand up for the constitutional rights of women. 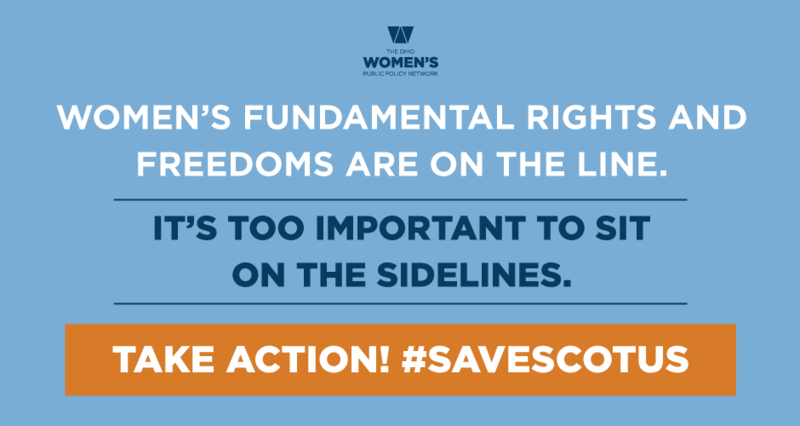 Use our Supreme Court Toolkit to learn more about what’s at stake and how you can take action!